KABUKI is a form of traditional Japanese theater which is predominantly made up of male actors dressed in extravagant costumes and supernatural makeup, they shared stories of love, moral conflicts and historical events. Kabuki Japanese Restaurant is a sushi restaurant where you get an authentic experience in Japan. Kabuki Japanese Restaurant has a Frequent Diner Program called the Red Mask Club. As a member of the Red Mask Club you will get a FREE $15 Reward for your Birthday! $15 is enough to get a FREE Birthday Meal, NICE! Discount is not applicable for happy hour menu items, alcohol or gift card purchases. Membership Card Must Be Activated at the Restaurant to Enable Registration Online. Make sure that your birthday is updated in your profile. 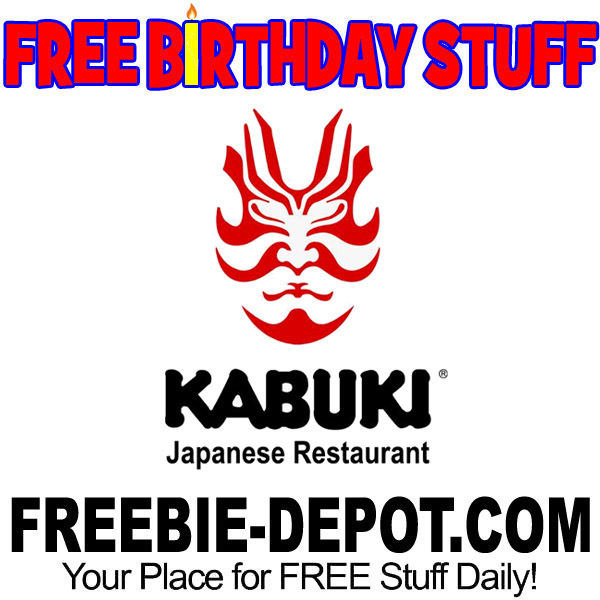 Thanks to Amy and Sara for pointing out this awesome FREE Birthday Offer to us!